Diego Garcia, the largest island in the Chagos archipelago and site of a major United States military base, located in the middle of the Indian Ocean, was leased from Britain in 1966. 15 Mar 2019 – Give Chagos back to the Chagossians! That’s a slogan I first heard in 2000. It was a demonstration in London, outside a courthouse, a small group of people with handmade signs appealing to the British legal system to return their islands to them. Few people paid them any attention. The courts sided with the islanders (whose case is unimpeachable) and then did nothing to enforce their verdict. The Chagos Archipelago is a group of 60 islands in the Indian Ocean. These islands are claimed by Mauritius, a country that won its independence from the United Kingdom in 1968. Three years before the independence of Mauritius, the British separated the Chagos Archipelago and converted it into the British Indian Ocean Territory. To cement its control over the islands, the British expelled over 2,000 Chagossians. Some of these Chagossians stood in London, fighting for their lost islands. At the end of February, the UN’s International Court of Justice (ICJ) ruled that the U.K. must give the islands back to Mauritius. In 2017, the UN General Assembly had heard the case of the islanders and referred it to the ICJ. Now, the ICJ – with a 13 to 1 ruling (the U.S. voting against) – has sided with the Chagossians. But this is not a binding ruling, and the British government has said it would ignore the International Court of Justice. Why would the United Kingdom need these islands? By the 1960s, the United States had begun to take over many of the British imperial bases for its own massive military base system. There are now over 800 U.S. military bases in more than 70 countries (for comparison, the Russians have about eight overseas military bases, most of them in the territory of the former USSR – such as in Moldova and in Belarus – with only the bases in Syria and Vietnam outside that zone). No country can match the U.S. military footprint. 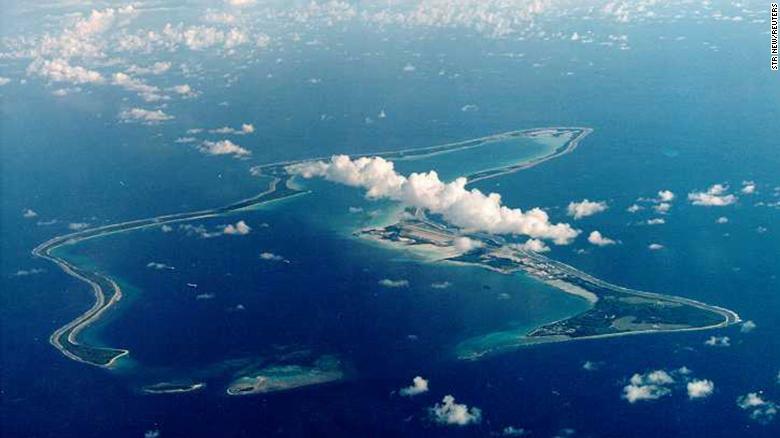 The biggest island on the Chagos Archipelago is Diego Garcia. The United States leases this island from the United Kingdom. The U.K. gave the United States the lease in exchange for a discount on the sale of the Polaris nuclear submarine system. That lease ends in 2036. Diego Garcia has been one of the most important U.S. overseas bases – used in the U.S. war on Vietnam, the U.S. war on Afghanistan and the U.S. war on Iraq. It was used by the CIA as a black site in the War on Terror (150 Sri Lankan fishermen were held there in its prisons). The United States has faced legal threats to its base for the past five decades. The bereft Chagossians have taken their case to British courts, hoping to exert pressure to return the islands to them. When the British broke off the islands from Mauritius in 1965, the U.K. violated UN Resolution 1514 (XV) on Decolonization that argued against the breakup of colonies. Britain strong-armed the Mauritius independence movement, telling them that they could have their freedom without Chagos or have no freedom at all. More difficult for the U.S. military operations was the attempt by the Non-Aligned Movement (NAM) and the United Nations to constitute the Indian Ocean as a “zone of peace.” As early as 1964, at the Cairo, Egypt, Non-Aligned summit, the member states recommended that the oceans of the world be “denuclearized zones” (the NAM was inspired by the 1959 Antarctic Treaty and the 1963 Treaty of Tlatelolco – to keep Latin America free of nuclear weapons). In 1970, the Non-Aligned summit in Lusaka, Zambia, declared that the Indian Ocean must be a “zone of peace from which Great Power rivalries and competition, as well as bases,” must be excluded. Every attempt was made to deny the people of Chagos their homeland. In April 2010, the British Foreign Office said that 640,000 square kilometers of the archipelago would now be a “marine reserve,” which should remain uninhabited. 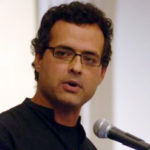 The British government told the U.S. government – in a secret cable – that the “former inhabitants would find it difficult, if not impossible, to pursue their claim for resettlement on the islands if the entire Chagos were a marine reserve.” This was environmental conservation for military purposes. No statement was made to remove the U.S. base from Diego Garcia, which would be at the heart of the marine reserve. In 2015, Mauritius went to the court of arbitration at the Hague, where they won a ruling that the British declaration of the marine reserve was illegal. The UK had not consulted either Mauritius or the Chagossians. Britain eventually said that the Chagossians would not be able to exercise their right to return because of the objections of the U.S. military. So be it. After this ruling, a spokeswoman for the British foreign office said that the ICJ’s ruling “was an advisory opinion, not a judgment.” It is unlikely that the U.K. – or the United States – will honor the opinion. The United States voted against it. The U.K. now says that the military base “helps to protect people here in Britain and around the world from terrorist threats, organized crime and piracy.” The door closes once more on the hopes of the Chagossians. “On the main island of Diego Garcia, the U.S.